After leaving school in 1983, I worked in the Portakabin industry for a number of years, before starting work at B&A in February 1992 as a Trainee Scaffolder. I gradually gained my qualifications over a number of years, working my way upto an Advanced Scaffolder and attaining my CISRS Supervisors Card. Always wanting a new challenge, I’ve always had an interest in Health & Safety. B&A gave me the opportunity to gain me NEBOSH general safety qualification in 2005, which I really enjoyed. 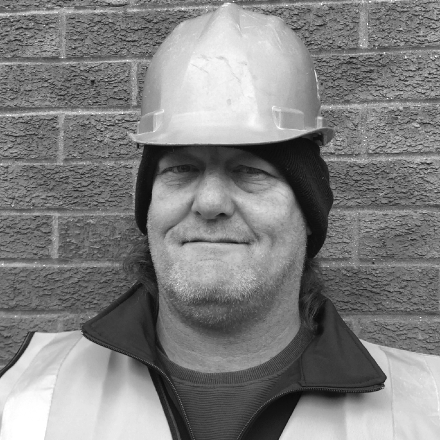 My role at B&A has changed a lot over the years, but my main responsibilities are to control the labour force, including the transport of materials to site. I am also involved with surveying prospective jobs and liaising with site management to ensure all our on site activities run smoothly, on time & on budget.